I had tried other physiotherapy-type treatments for several years, while my hip got progressively worse, without much relief, so I was ready to give anything a go. I was amazed at the ease of movement and lack of pain after only one treatment. Eventually I was told a hip replacement was essential as I had no cartilage left and should have been in tremendous pain, but thanks to Jane I was still managing. I am 67 now, and had my hip replaced at 59. I have continued to have Amatsu treatments on a regular basis ever since. People are surprised when I say I have a false hip, as I move around easily without any pain or restriction of movement and no limp at all. I thank my brilliant surgeon but also Jane for this . I cannot thank her enough for all the help she has given me . My son was so impressed by my treatment that he has just qualified as an Amatsu practitioner. I tell anyone who will listen that Amatsu is an amazing treatment and you only have to take your shoes off!" "I've tried most other physical therapies, and found Amatsu to be the most effective by a long way. I always felt there was something that other treatments never picked up on, and with Amatsu I noticed a difference after only the first session. Having struggled with an old back injury for more than 20 years I'm now able to drive again. It has also improved my general health and played an important part in my recovery from M.E. I now recommend it to everyone !" "I first came across Amatsu some years ago when looking for help with my daughter's health. Sadly for her but gladly for me, she saw no use for it whilst I have found it tremendously effective. I had a long history of back pain. I found that Amatsu set in motion a self healing dynamic which, over time, has meant that even when I am careless with my use, in a day or so, the problem clears up on its own. I no longer think of myself as having a "back problem". Whilst Amatsu can be a "quick-fix" for minor aches and pains, for more entrenched conditions it requires a more structured approach. Once the main problem has been dealt with it is desirable, though not essential, to continue to receive "maintenance" sessions. Personally, I always look forward to these sessions, regarding them as me taking care of myself; day to day life places a strain on our systems and a bit of TLC now and again can only do good." "As a personal trainer and athletics coach, I had worked for many years with different types of therapists, but it was only when I injured myself when falling down the stairs (trying not to smash my iPad!) that I couldn’t seem to get fixed through the usual methods of physiotherapy, osteopathy, chiropractors. I was also suffering from re-occuring bouts of IBS. One day one of my clients recommended Amatsu to me and so my journey began.. 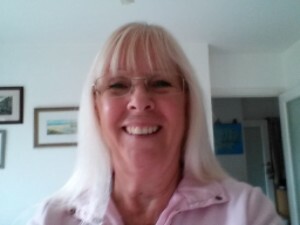 I saw Jane Langston, who within the first session gave me instant relief from my pain, but because I knew I had so many restrictions and was over compensating in so many places in my body, I had a number of sessions and found I was less stressed and a lot happier. At the time of finding Amatsu I coupled it with a closer look at my diet and some mindfulness, and so the three things together have enabled me to feel like I’m 25 again instead of feeling like i was 60! Now, whenever I train a bit too hard or don’t take care of my posture, I take a trip to the Amatsu clinic, and within half an hour, can breathe better, my organs feel like they have more space, and all niggles have gone. Fortunately now I’m on maintenance with Amatsu, so go as and when needed, but I continue to recommend it to all of my clients, friends and family…. It should be made available on the NHS!!" "I feel immediate relief from the aches and pains I have walked in with. However, a lifetime of bad postures and lack of physical fitness and body misalignment means that dealing with the aches and pains is an ongoing process and I am committed to carry on to gain long term benefits." "I would say I have been visiting Jane for Amatsu for some four years, during which time I have been attending her Clinic every six weeks. My introduction to this therapy was when having taken my daughter to her appointment with Jane, as she had hurt her foot and was unable to drive herself. Lucy’s foot was swollen and she wasn’t able to put it to the ground, as the pain was so horrendous. Upon arrival, Jane met us and invited me into her consultancy room with Lucy. At this point, I had no idea what Amatsu was all about but very soon realized that the treatment worked. Within the forty minute appointment slot, I saw the swelling dramatically reduce and Lucy was once again able to put her foot to the floor. She complained that the pain was still strong. At this point, Jane recommended she discuss pain killers with a pharmacist, as the inflammation would still be present. This Lucy did and the following day her foot was like new again. I can remember saying to Jane “I think I could do with a bit of Amatsu therapy!” I made an appointment there and then and, I have to say, I’ve not looked back. I had the usual aches and pains ie knee joints, hips, neck and also have fluid retention, following the removal of all the lymphs under my arm on one side. This was due to having had breast cancer (some 20 years ago) and all lymph nodes were removed. I was fortunate enough to make a complete recovery. Having visited Jane, I always take her post-treatment advice. I try to take a long walk each day and water is my main drink of the day. I’m happy to report that I’m pain free and mobile and I’m convinced I have Amatsu to thank for this …… and Jane of course. I look forward to my six weekly appointments and find the whole experience not only therapeutic but also enjoyable. We always have a good natter! That’s girls for you!"